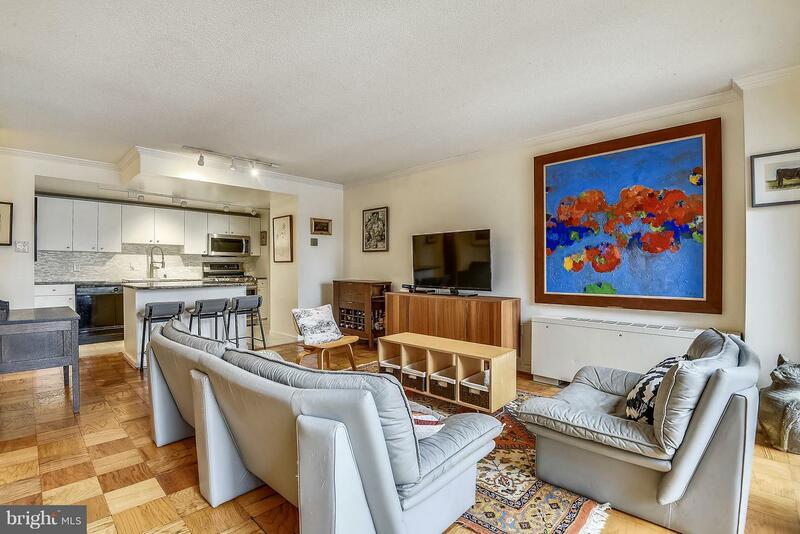 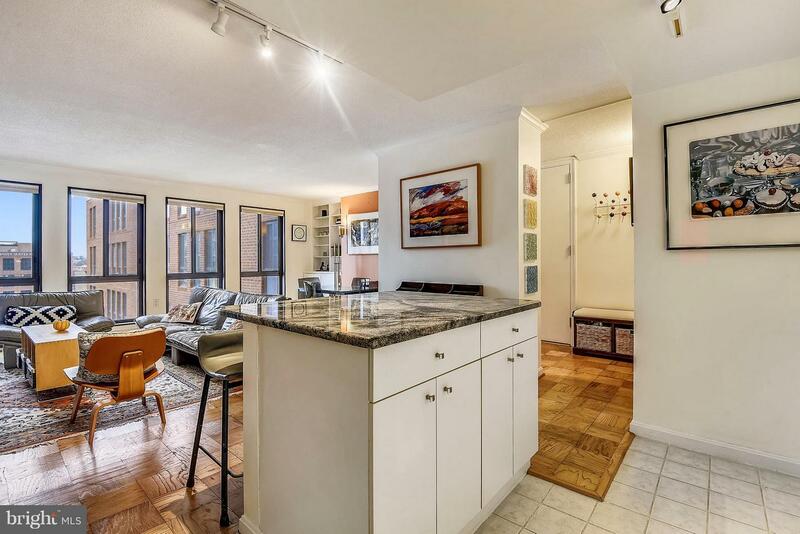 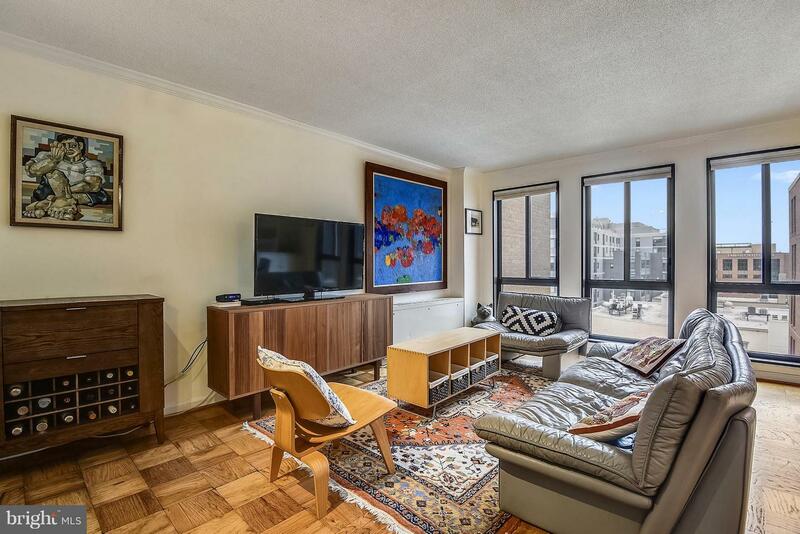 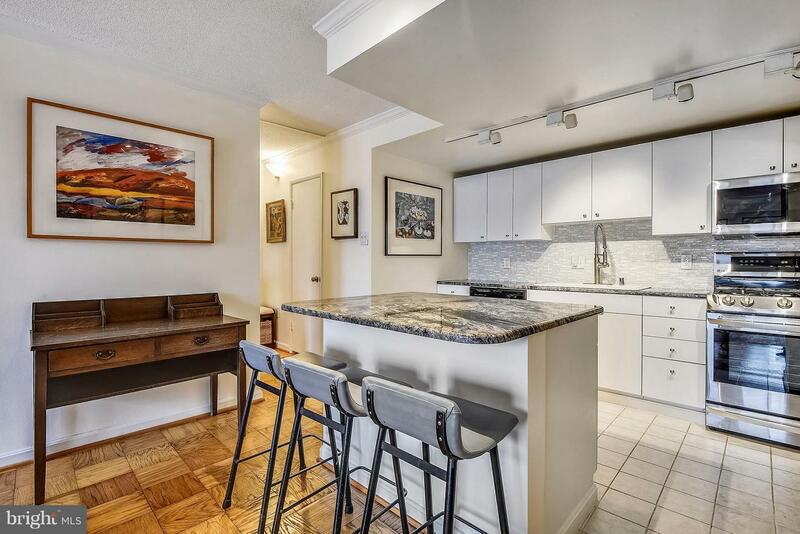 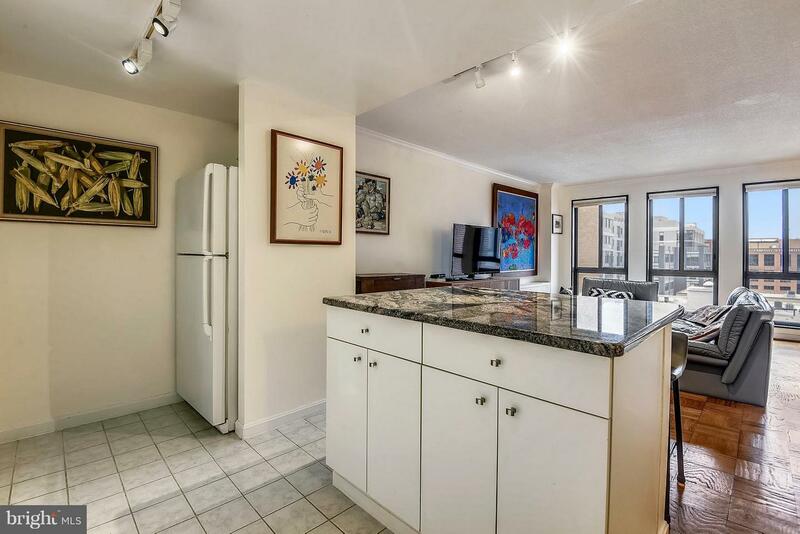 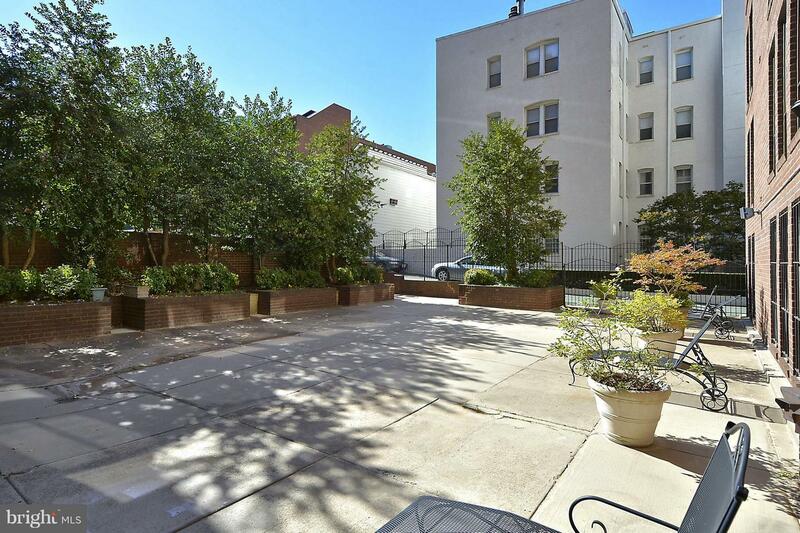 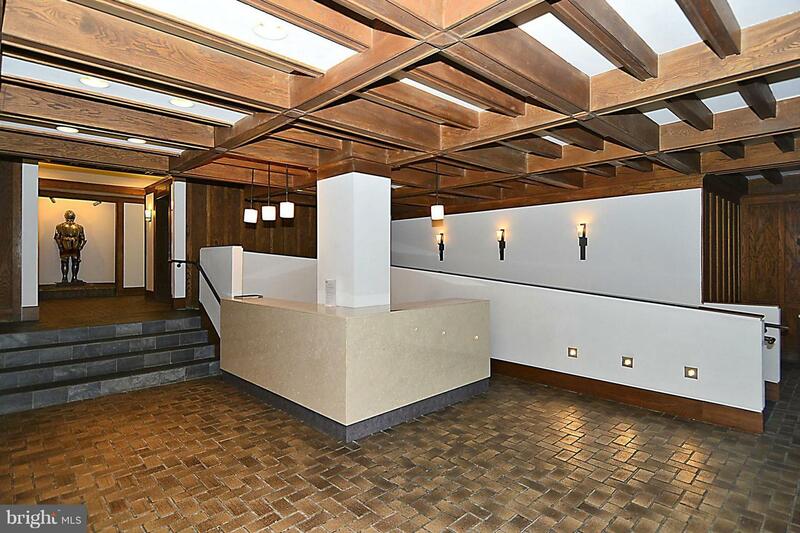 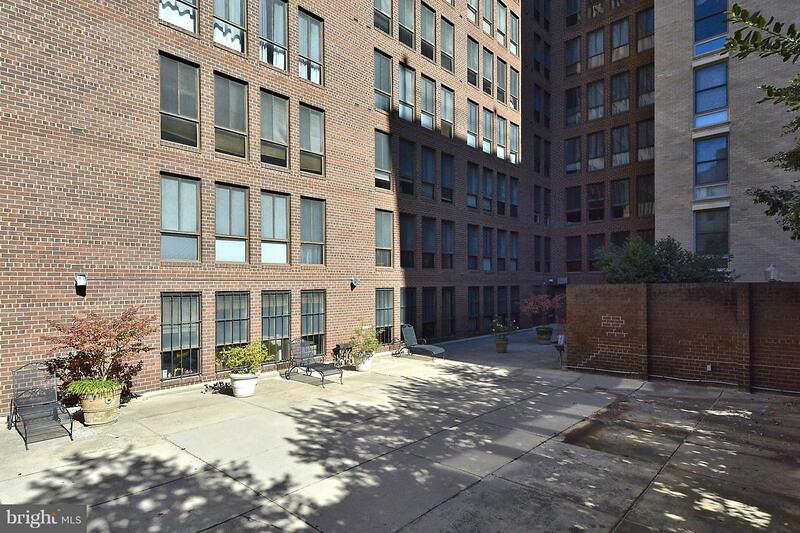 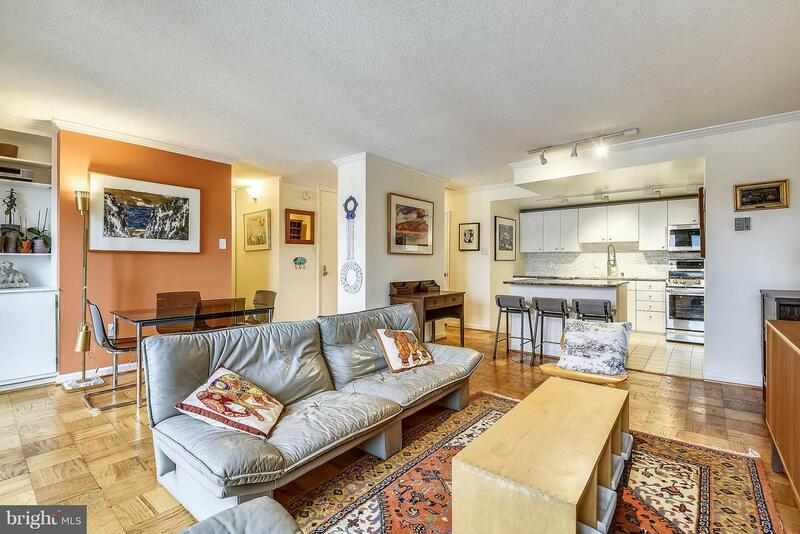 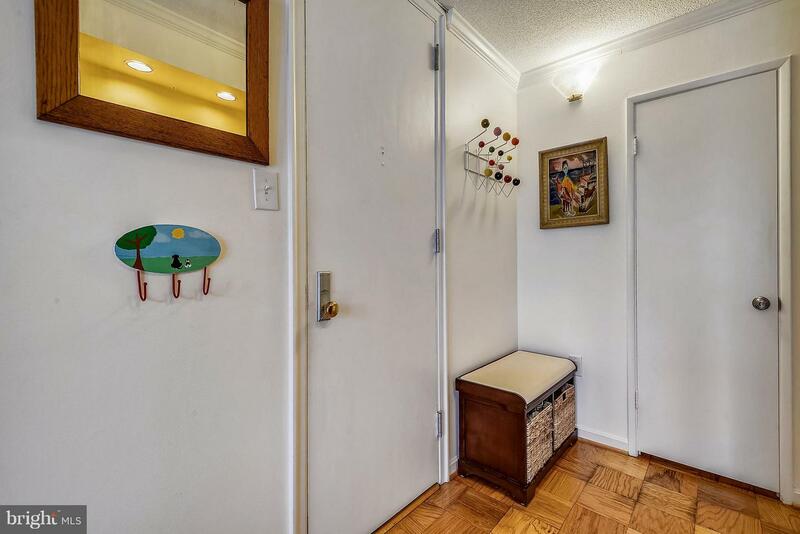 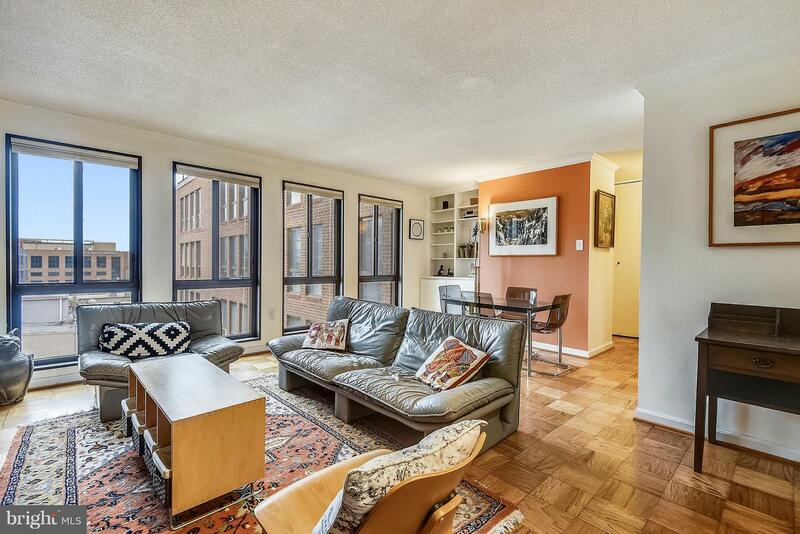 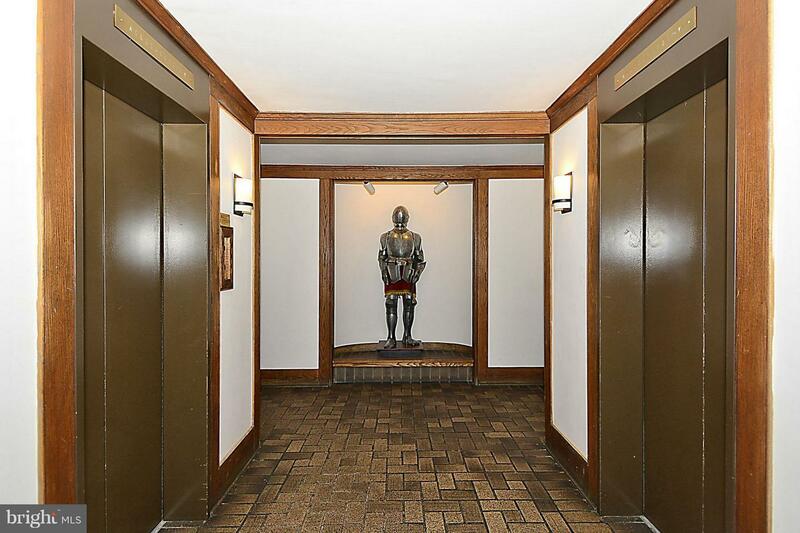 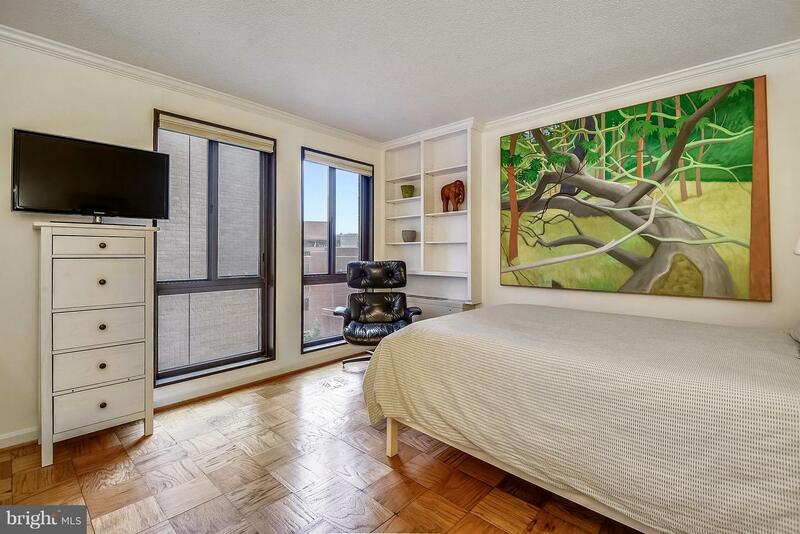 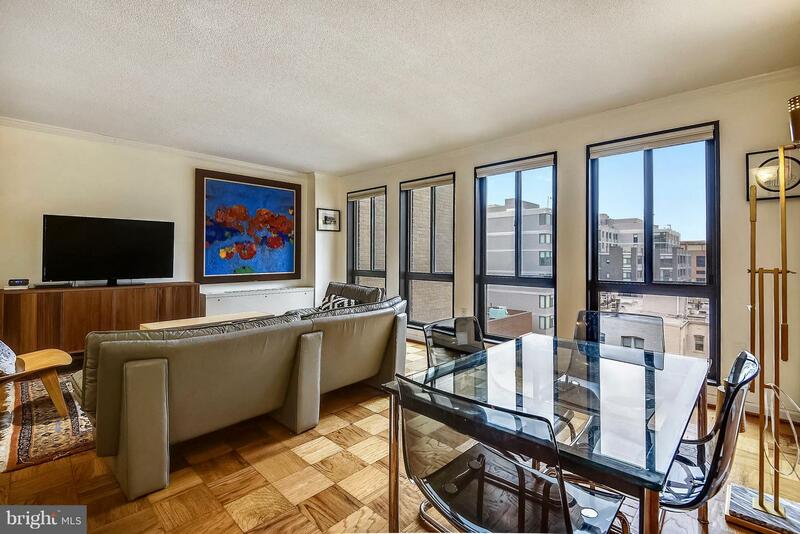 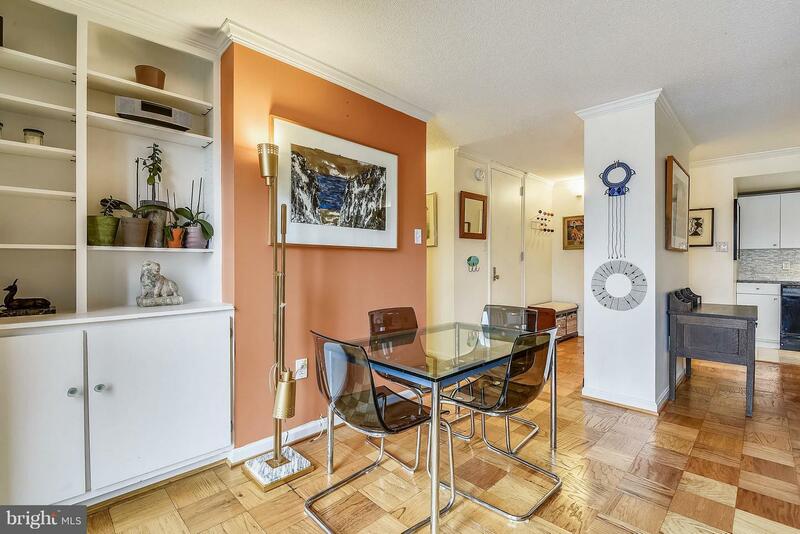 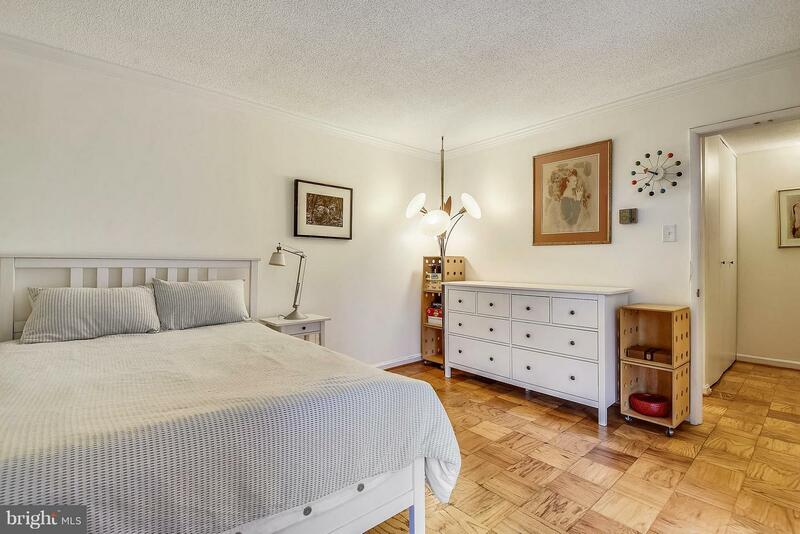 Large, sunny unit with open floor plan. 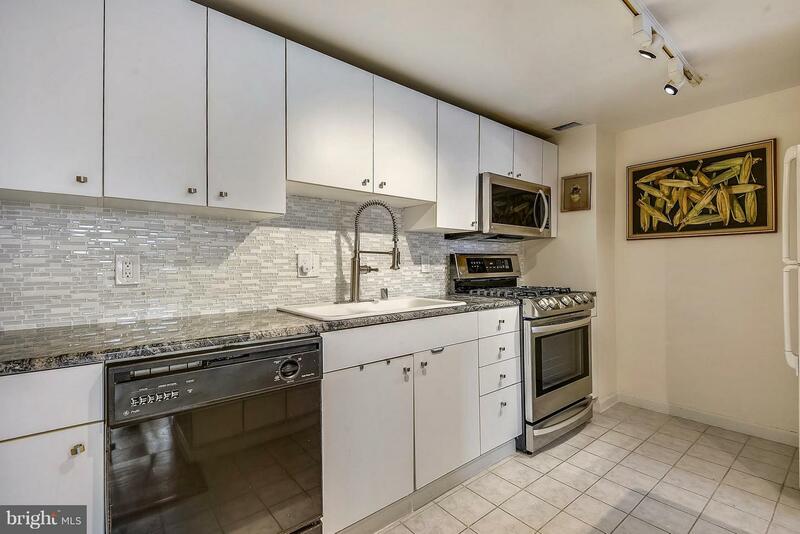 Updated kitchen w/granite island with chef's stove. 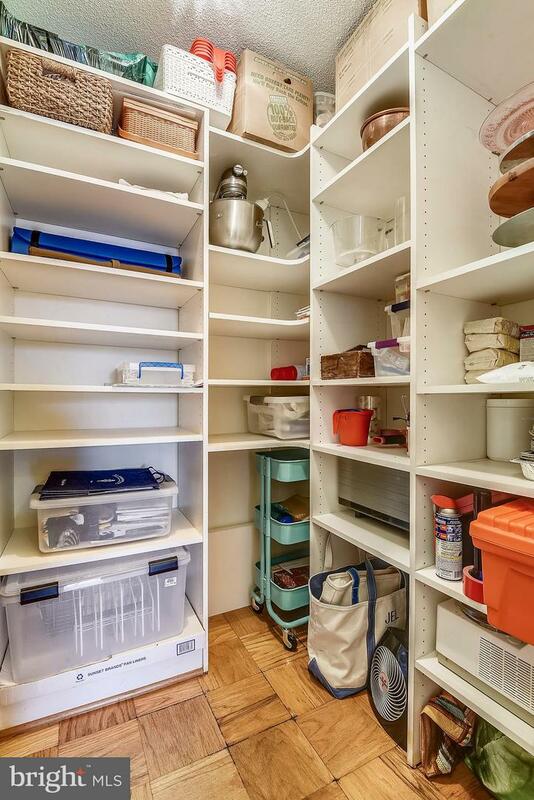 Large walk-in pantry. 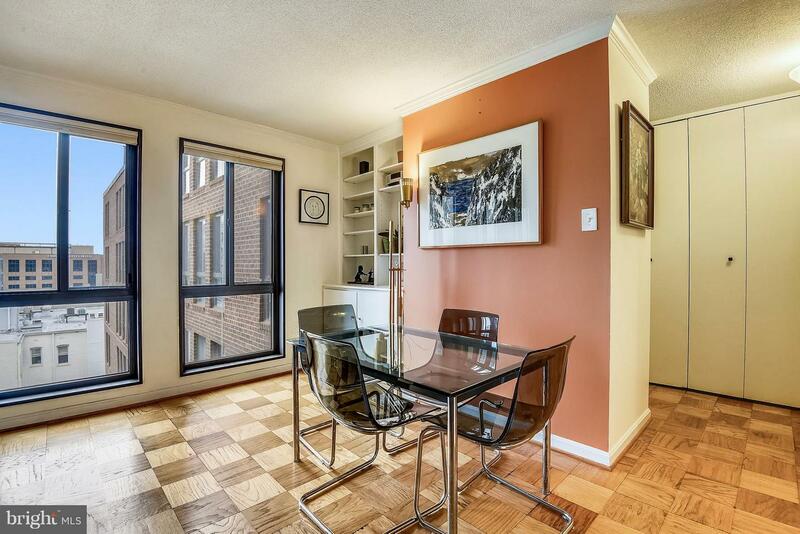 Living room-dining area with large windows newly installed in the last 3 years. 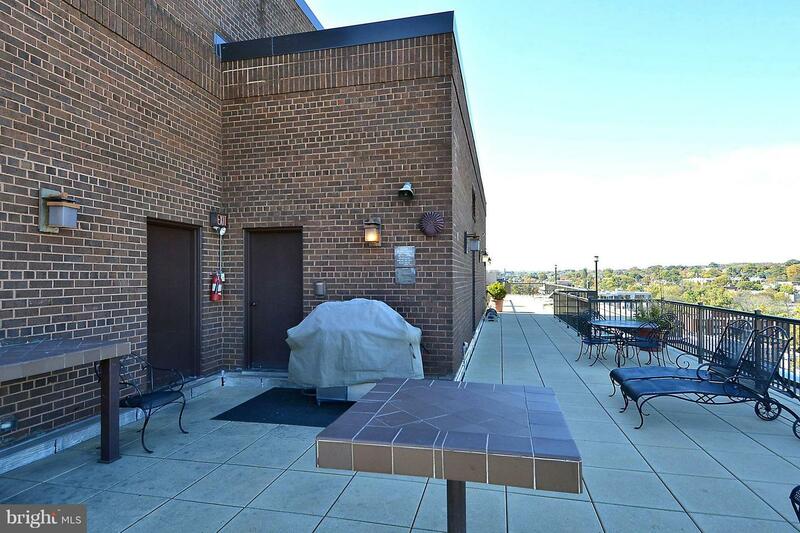 Roof terrace w/ gas grill, and front desk.  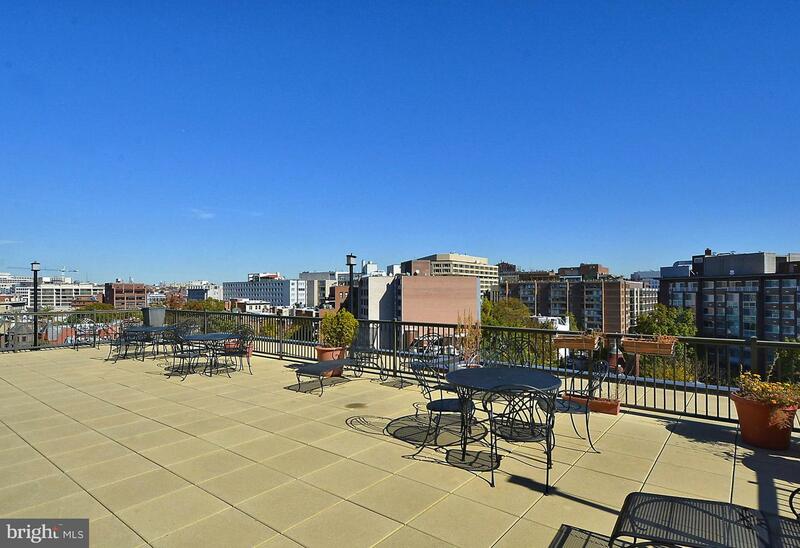 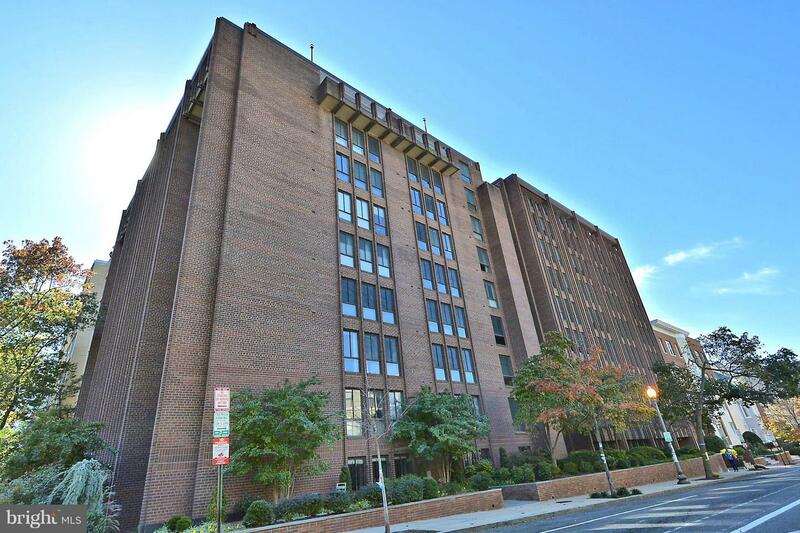 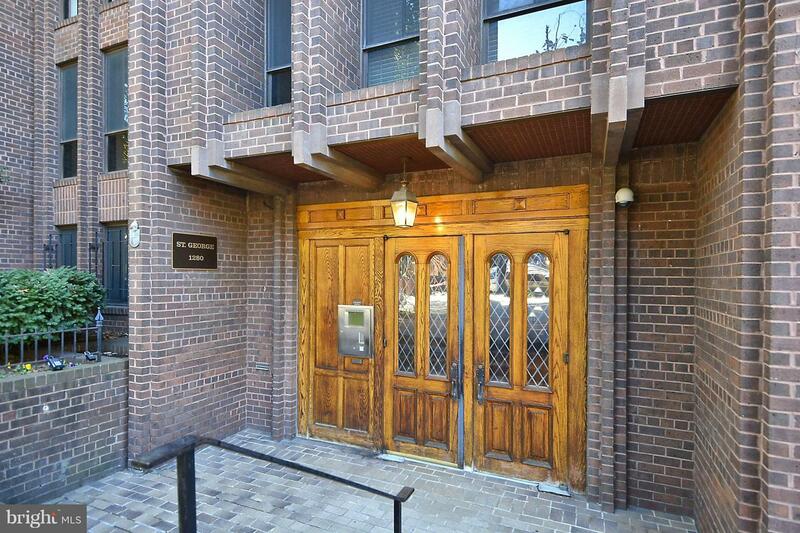 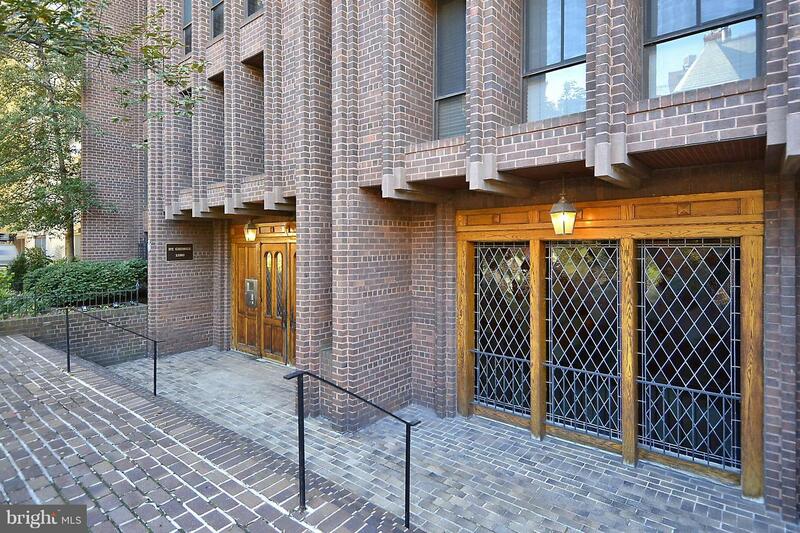 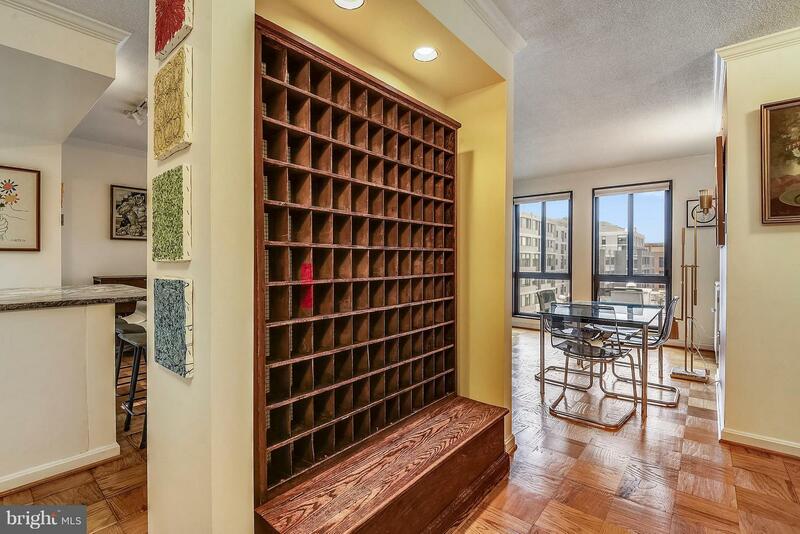  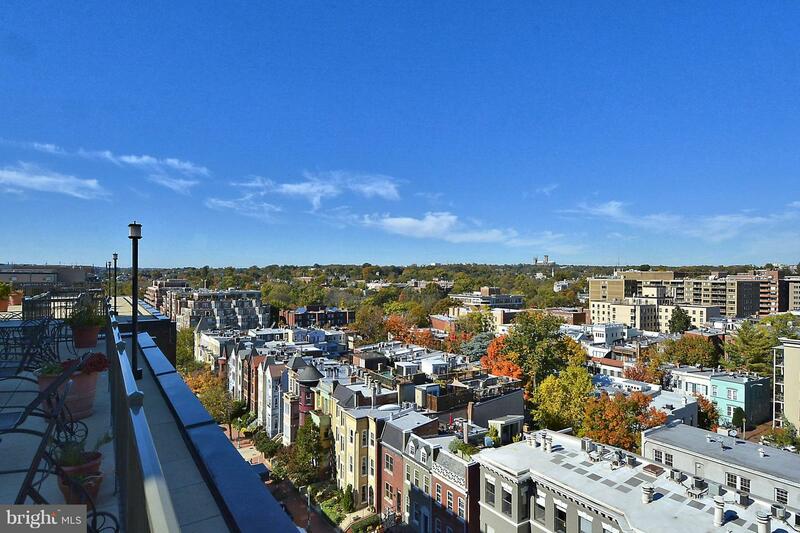 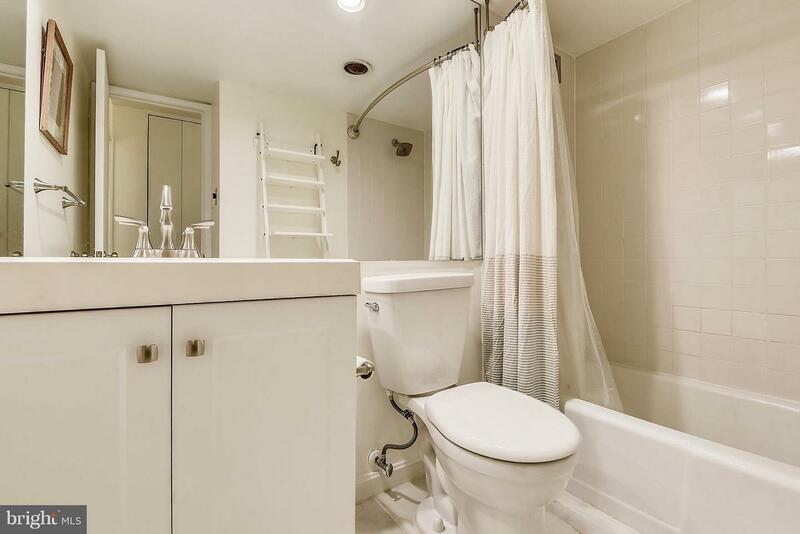 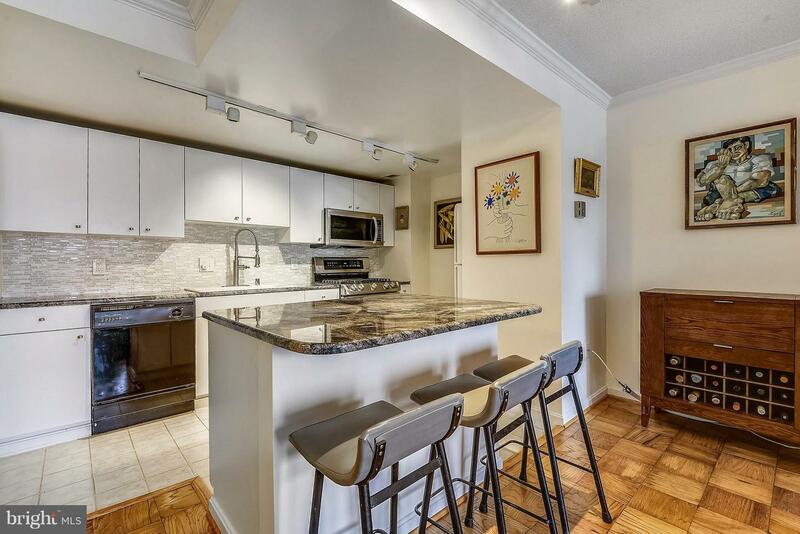 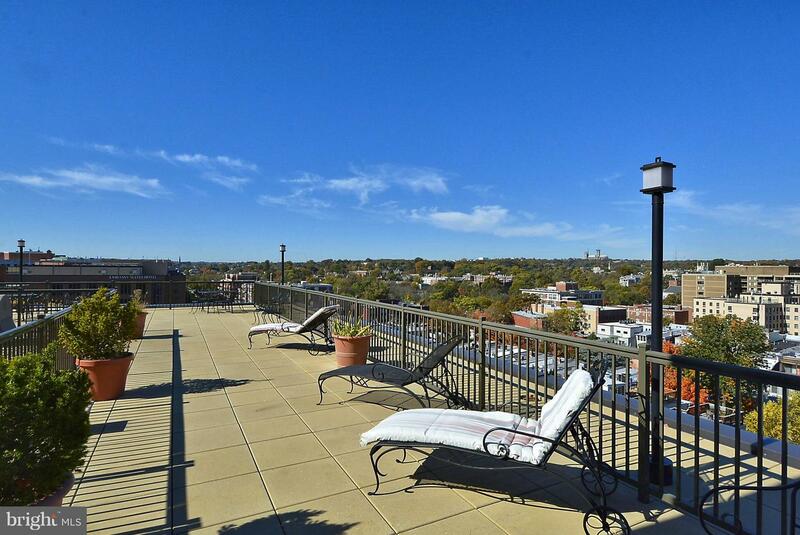 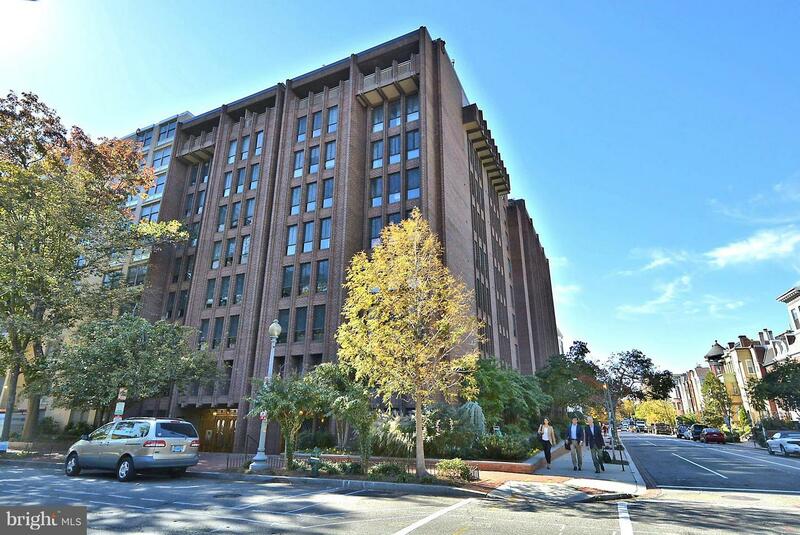 Located in Dupont Circle just blocks to Metro, West End, Georgetown, Whole Foods, Trader Joe's. 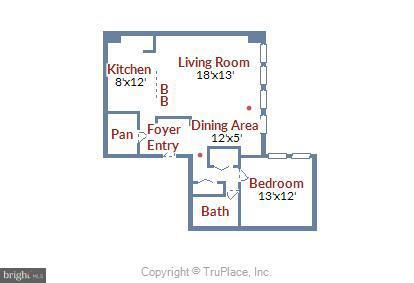 Garage space can be transferred - $250 mo. 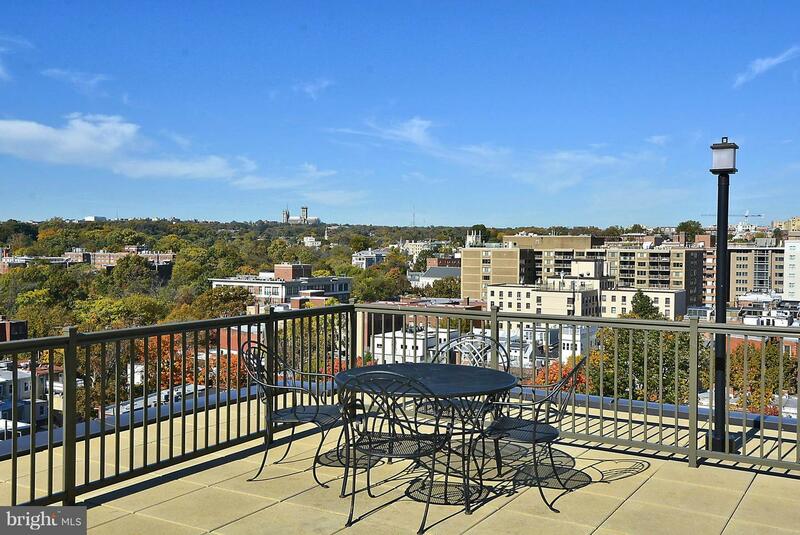 Easy to show - Open Sunday, 1/6, 2-4. 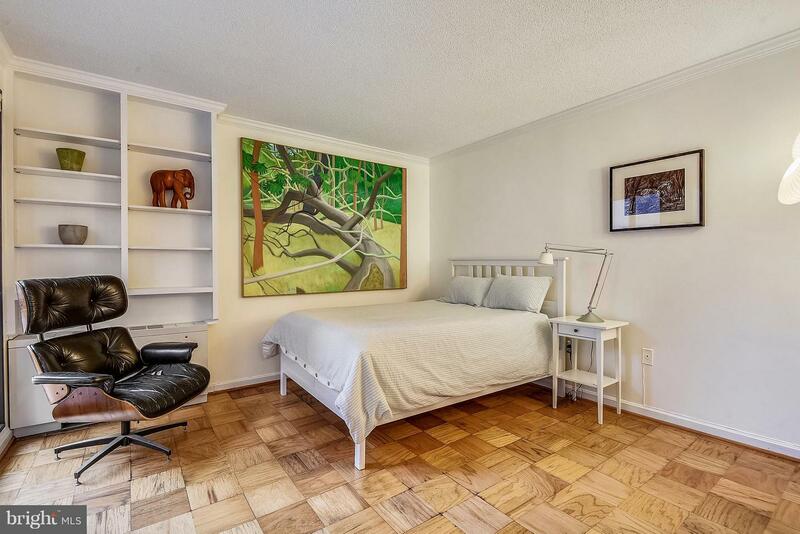 Listed by Barbara R Casper of Long & Foster Real Estate, Inc.